A fantastic gift for the Olive Oil lover in your family, that special host at a Holiday party or yourself! With three Find all the ways you can use it and enjoy incredible flavor. 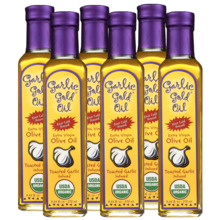 Widely recognized as the finest tasting garlic-infused organic extra-virgin olive oil on the market. A fantastic gift for the Olive Oil lover in your family, that special host at a Holiday party or yourself! With three Find all the ways you can use it and enjoy incredible flavor. Widely recognized as the finest tasting garlic-infused organic extra-virgin olive oil on the market. 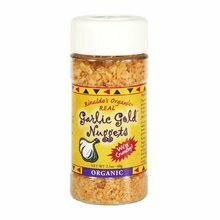 This subtle, unique oil is great for sauteing or stir-frying your favorite dishes, or simply use it as a bread dip. 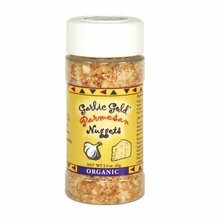 Adds rich flavor to roasted and fried potatoes, steamed vegetables, roast chicken, grilled meats and more. A healthy, delicious substitute for butter, and ordinary cooking oils. 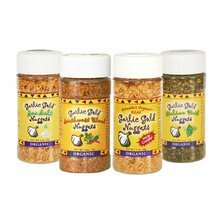 Great in marinades and sauces, and as a finishing oil.